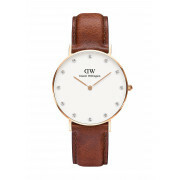 This sleek and slim Classy St Mawes watch by Daniel Wellington, from the Classy Collection, combines a brown genuine leather strap with beautiful rose gold casing. The 12 Swarovski crystals on the eggshell white face, add a feminine finesse to this watch which can be worn day or night. 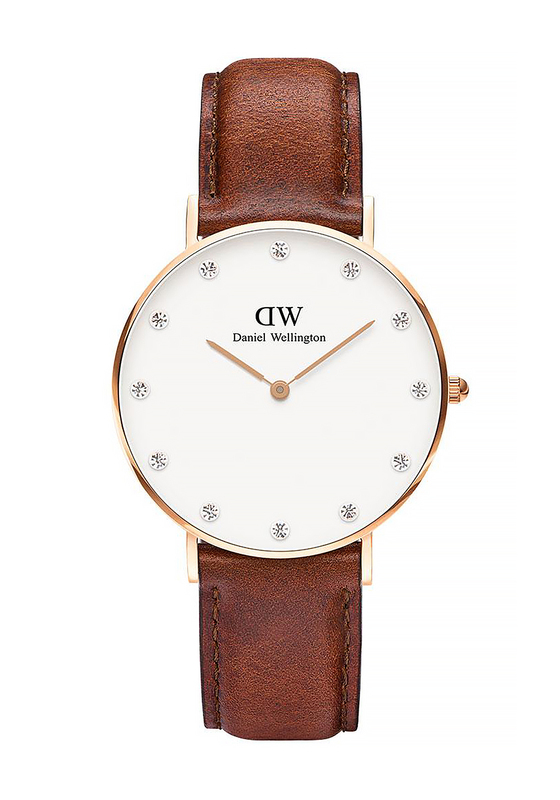 This watch features an interchangeable strap with others from the collection.